Macedonia (FYROM) is one of the most scenic Balkan countries and in this article, we’ll cover everything you need to know about travelling in Macedonia. Nestled in between Bulgaria, Serbia & Kosovo to the north, Albania to the west and Greece to the south, this tiny mountainous country has a lot to offer travellers. From historic towns and the odd capital of Skopje, to the snowy slopes of Mavrovo and the calm reflective waters of Lake Ohrid, Macedonia has something for everyone. How Much Will Macedonia Cost? 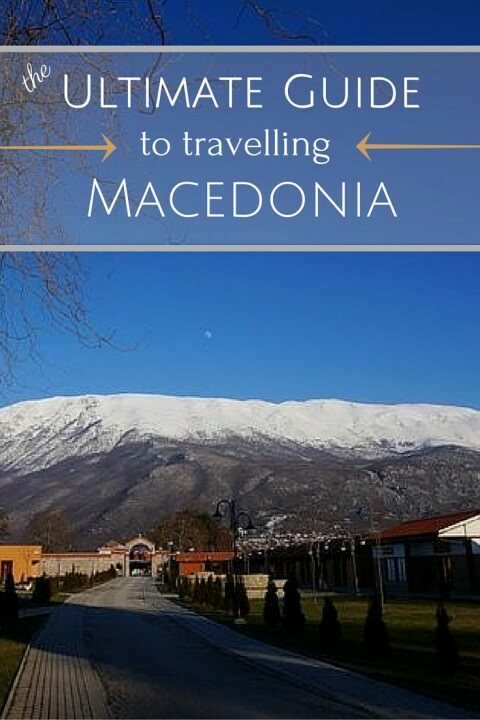 We were shocked to find out that Macedonia is actually a very affordable place to travel. 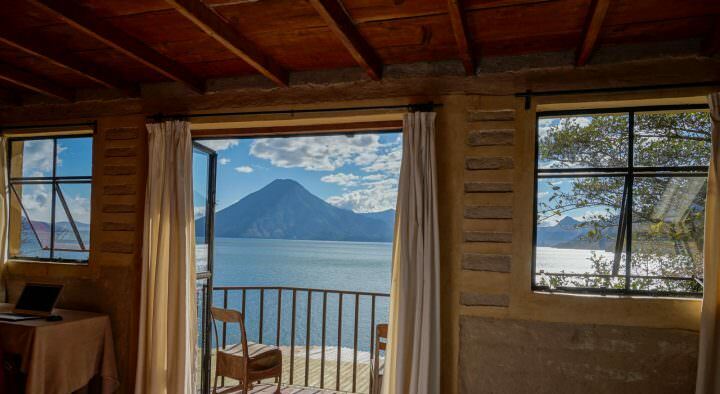 You can find nice double rooms for under $25 / night, meals rarely cost more than $7 in a restaurant and transportation (including taxis) is very cheap. Travelling as a couple of quite good value in Macedonia (FYROM) as rooms are rarely over $30 and usually this price includes breakfast. In the off-season, there are some discounts to be had, and often, on the budget end of the spectrum you can save about $5 – $10 / night (you’ll have to bargain). 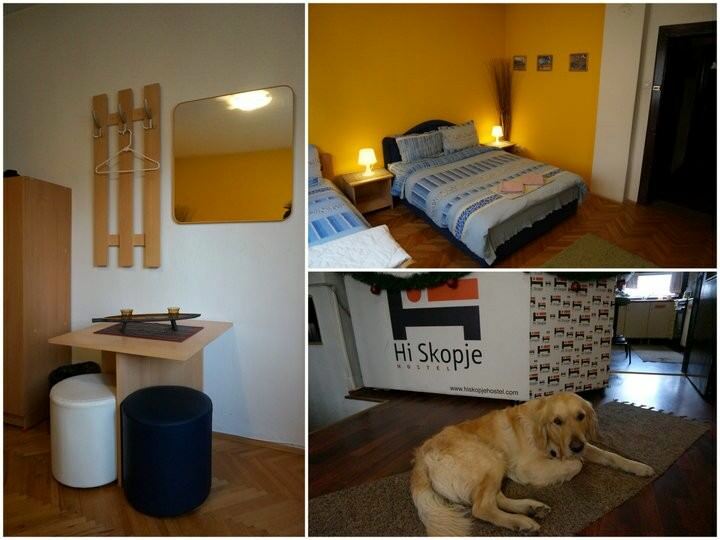 Our room at Hi Skopje Hostel…and Zhile! Dorms are cheap. Around $10 / night will get you a comfortable bed and a breakfast as well. If you’re travelling with a friend, consider a double room as many of them have two single beds and are much nicer than the dorms. If you head into a bakery or small cafe, you can get Burek (meat, cheese or veggie filled pastry) for under $1. If you want to sit down in a nice restaurant, it won’t likely cost you more than $6 / meal. In fact, there are many meals on the menu for under $3! Meat is often eaten, but there are many options for vegetarians – stuffed peppers, grilled vegetables, soups and dips to name a few. If you’re a museum lover, most of your history browsing will be in the capital of Skopje. The archeological museum charges 300 MKD for adults, as does the Museum of Macedonia and the Museum of the city of Skopje. Check at the door to see if there are free days for these museums. There are also lots of free things to see in Macedonia where you don’t have to pay entrance fees. The Mother Teresa House in Skopje and the Sveti Naum Monastery on Lake Ohrid are a couple of good examples. In a restaurant, beers are between $1.50 – $2 per bottle, wine $10 / bottle or $2 / glass, spirits about $3 / ounce and cocktails about $5. The price is about half of that or less in the grocery store. 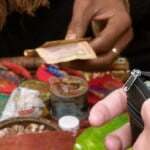 Macedonians do tip, but they generally just round-up the bill and leave change. You don’t have to be super diligent with your tipping. Between 5 – 10% is fine for good service. If the bill comes to 95 and you leave 100, that’s perfectly fine. 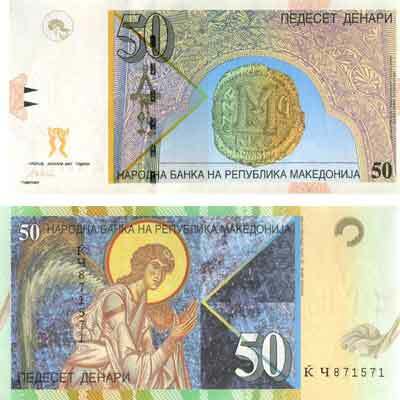 The currency in Macedonia is called Dinar (MKD). 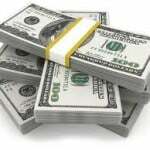 You’ll find bills in denominations of 10, 50, 100, 200, 500, 1000, 2000 & 5000. Coins are in 1, 2, 5, 10 & 50 denominations. Euro is the second most accepted currency while USD is also sometimes accepted at restaurants and hotels. Credit cards are almost always accepted at sit down restaurants, bars, bus stations and hotels, but don’t expect to use plastic at bakeries, small corner stores or at some cafes. 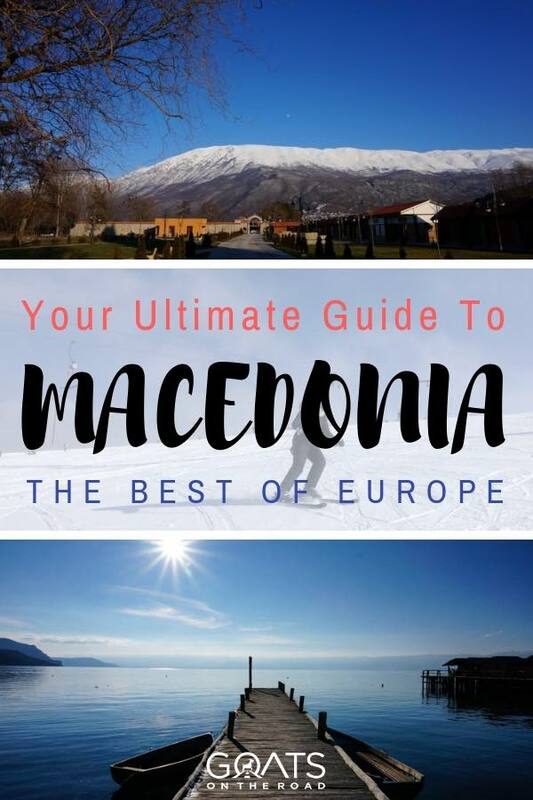 There are a lot of things to see and do in Macedonia, but as most people only visit the country for 5 – 15 days, we’re just going to list the best things to see and do in Macedonia. The capital city of Macedonia is a strange place indeed. Recent development has seen hundreds of millions of Euros poured into the city, creating a sort of nationalistic wonderland of ostentatious buildings, countless statues and elaborate fountains. The locals justifiably complain that the money could have been better spent on restoring other towns or helping the 25% unemployment rate, but nevertheless, the government’s frivolous spending has created a fascinating (if not strange) place to visit. The old bazaar has a very Ottoman feel and is not over restored or “put on” like other parts of the capital. While the Skopje Fort, or Kale (Скопско Кале) still commands the highest hill in the city overlooking the Vardar River. Despite Skopje’s controversy, we found it to be a very fun city and an exciting place to explore. Without a doubt, one of the most visually striking places you will ever see, Lake Ohrid and the town of Ohrid itself, is Macedonia’s crowning jewel. For travellers, it’s one of the best places to visit in all of Europe. There are dozens of excellent hostels, hotels and b&bs, set in 500-year-old homes that climb up the hill in the Ottoman style town, many with breathtaking views over the lake. Here you can wander around the old town for hours, or climb up to Samuel’s Fortress (Самуилова тврдина) which is overlooking the lake. Explore monasteries, beaches and cathedrals, jump off the rocks into the crystal clear lake, eat at restaurants that hover over the water and walk along the 2 km long waterside promenade. When you tire of the seemingly endless sights and activities in the town of Ohrid, consider renting a car and driving around the lake. There is a beautiful road that snakes its way along the shoreline and there are numerous must-see stops along the way including the Sveti Naum Monastery and the Bay of Bones. If you don’t want to rent a car, you can hire a boat to take you to some of the places of interest around the lake. 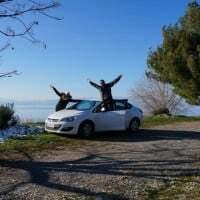 We rented a car for our stay in Macedonia, and booked it through EconomyBookings.com. 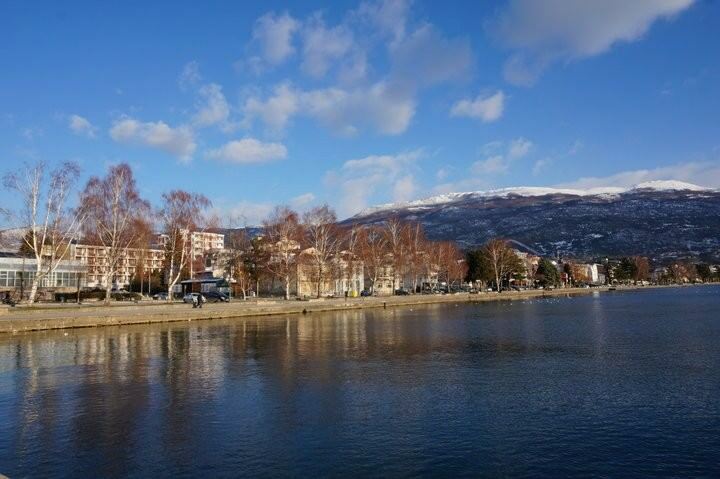 If you’re visiting Macedonia in the winter, you’ll have the pleasure of seeing Mavrovo in all of its beauty. The glass calm Mavrovo Lake reflects the snow-capped peaks of the ski resort like a mirror. 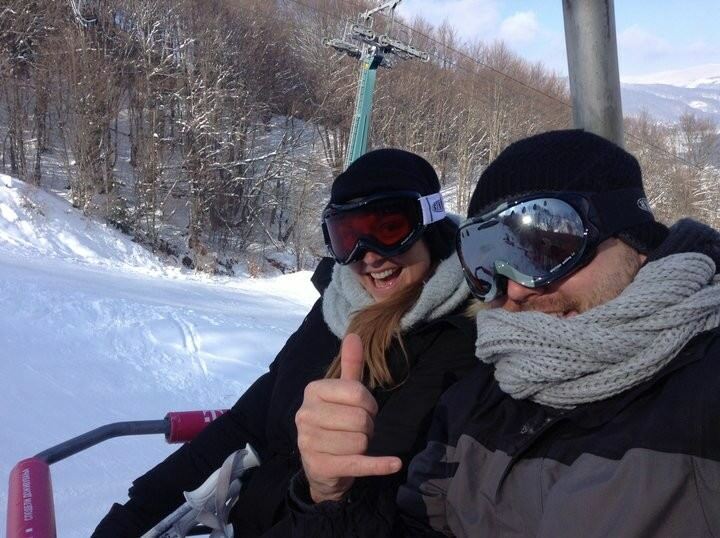 The ski resort itself is superb after a fresh snow and coming here for a ski weekend is the perfect way to enjoy the otherwise freezing winter in Macedonia. 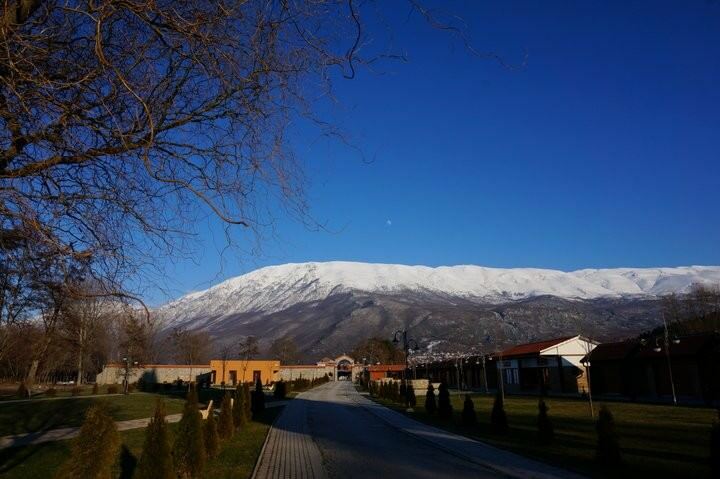 We stayed at the Radika Ski Resort & Spa and loved it. There are free shuttles from there to the ski hill and you can rent everything you need for skiing (including goggles, gloves, snow pants, jackets etc.) up at the rental shops that line the parking lot near the entrance to the lifts. Apart from skiing, you can check out the villages around the lake, and the partially sunken church of St. Nicholas! If you visit Mavrovo in the summer, you’ll have the place pretty much to yourself. There are lots of discounts to be had and you can hike the beautiful forest trails to your heart’s content. Another one of Macedonia’s main draw cards, Bitola is a stunning Ottoman-era town with countless historical sites and many excellent hotels and B&Bs to choose from. Many mosques, cathedrals, squares and the 16th century clock tower give travellers much to explore. You can visit the city on a day trip from Ohrid, or you can spend a couple of days there. Note that during the winter months, many of the hotels, restaurants and B&Bs are closed down. Macedonia has been producing wine for 3,000 plus years and they have some excellent grape varieties. 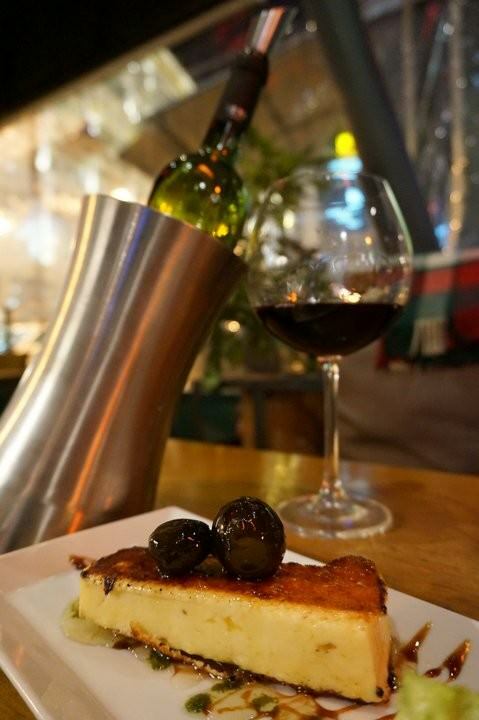 One of the nation’s favourites is Vranec (pronounced “vranetz”) and it is a full-bodied delight. 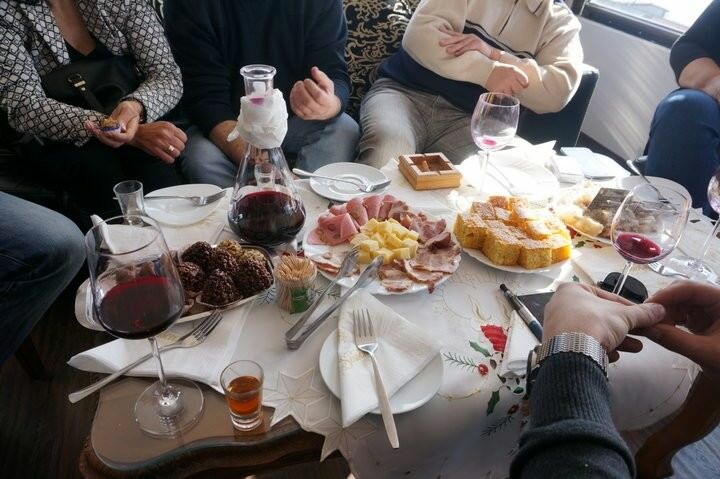 You can do wine tours, or head to Vila Mal Sveti Kliment in Ohrid and ask the owner to show you his wine collection. Unfortunately, when we visited it was too cold to swim in the lake, although the frost didn’t stop the religious devotees to brave the water for the day of Epiphany. The lake itself is so clean that many of the locals drink it straight from the shore. There are numerous beaches and rock cliffs where you can hop in the lake. 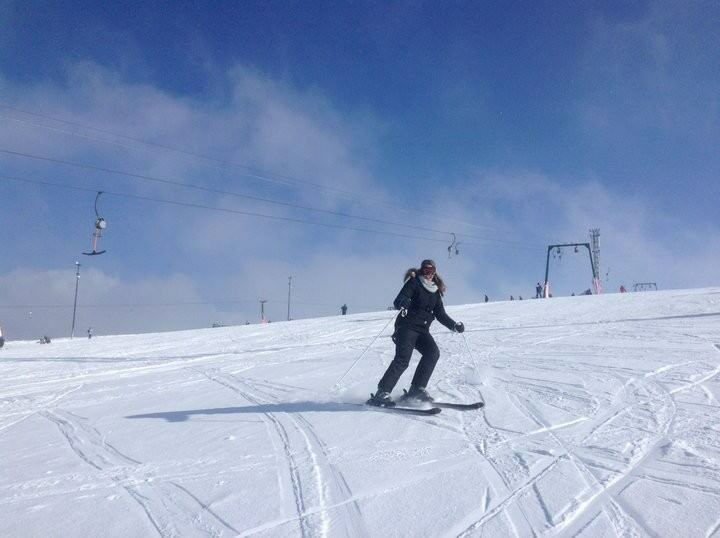 There are two main ski resorts in Macedonia, Mavrovo National Park and Popova National Park. We chose Mavrovo and loved it. There are lots of cool places to stay and the ski pass is just $15 / day! Rentals will run you another $15 – $20 if you’re renting all equipment (goggles, pants, jacket, gloves etc.). Consider renting a bike and cycling around the beautiful Lake Ohrid. Bring your camera along because you’ll likely want to stop every 500 meters to take a photo. Pretty much every capital city in the Balkans has a free walking tour and they are an excellent way to familiarize yourself with not only the city, but also the history, culture and day-to-day life of the local people. The Skopje Walking Tour meets at the Mother Teresa House at 10:00 am every day. The food in Macedonia is delicious, when cooked right. We found that the flavours were all there, but the preparation could be hit and miss. It could have been because we visited in the off-season, but sometimes our meals were cold or undercooked, but when the food was done correctly it was delicious. A delicious dish of butter beans, onions, dried peppers, oil and parsley baked in a clay pot and usually served with Ćevapi. Ćevapi, the typical Turkish, kebab-like meal found all over the Balkans is a Macedonian staple. The meal consists of 5 – 10 pieces of beef or lamb ground meat formed into a sausage shape and served with some flatbread, onions, sour cream, kajmak, ajvar and feta cheese. This vegetable and meat stew is another delicious meal that finds its origins in Turkey. Made from potatoes, okra, eggplant, rice, carrots, peppers and beef or lamb, the hearty stew is usually prepared in a traditional clay dish (tava) from which it gets its name. The Macedonian version of cabbage rolls, these delicious finger foods are made of grape, cabbage, monk’s rhubarb or chard leaves rolled around a minced meat filling. It doesn’t take much to get off-the-beaten path in Macedonia. Just a few steps from the major tourist trail and you’ll find yourself in the middle of nowhere. For easy trips into the unknown, ride a bike around Lake Ohrid, explore the rock dwellings of Golemo Gradište or visit Šutka. You’re planning a trip to an amazing place and there are many pros to travelling Macedonia. Travel is very personal and different for everybody, so you’ll probably find many more positives when you’re here. We’ve only listed a few. Macedonia feels very safe to travel in and indeed, there have been little or no instances of violence against tourists. The locals will help you every step of the way and the country feels very secure and easy to travel in. If you rent a car for the duration of your travels in Macedonia as we did, you’ll find that the roads are well signed, nicely paved and easy to navigate. 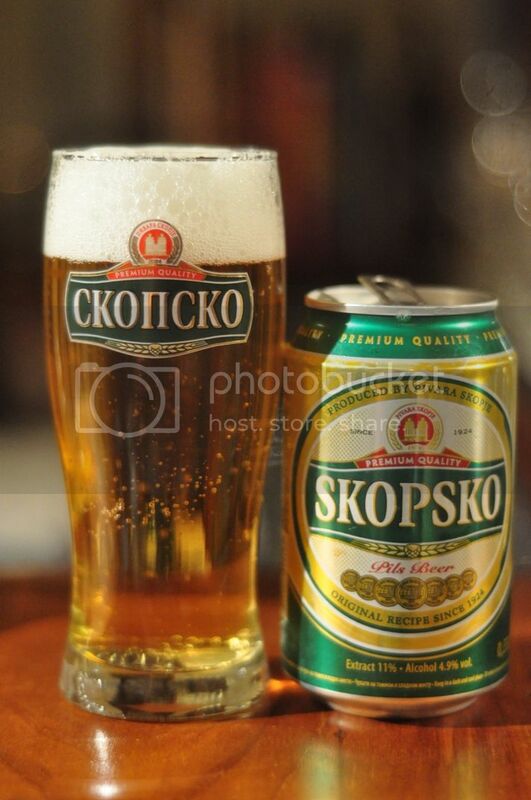 It’s not just booze that is inexpensive in Macedonia. 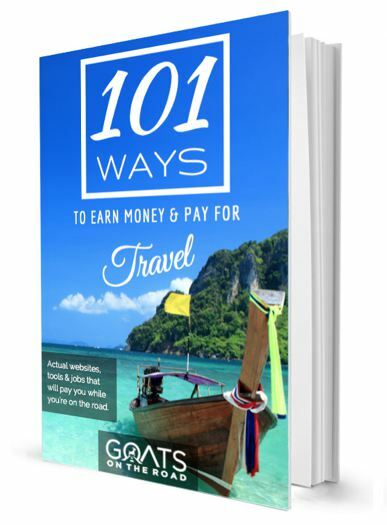 Few places in the world offer such great value for your money. We didn’t think that anywhere in Europe would be this affordable, but the cost of travelling in Macedonia is comparable to many of the cheapest places in Asia. You can drink the tap water here! Not only does this save you money, but it will save the environment from all of the plastic bottles you would be discarding during your travels. 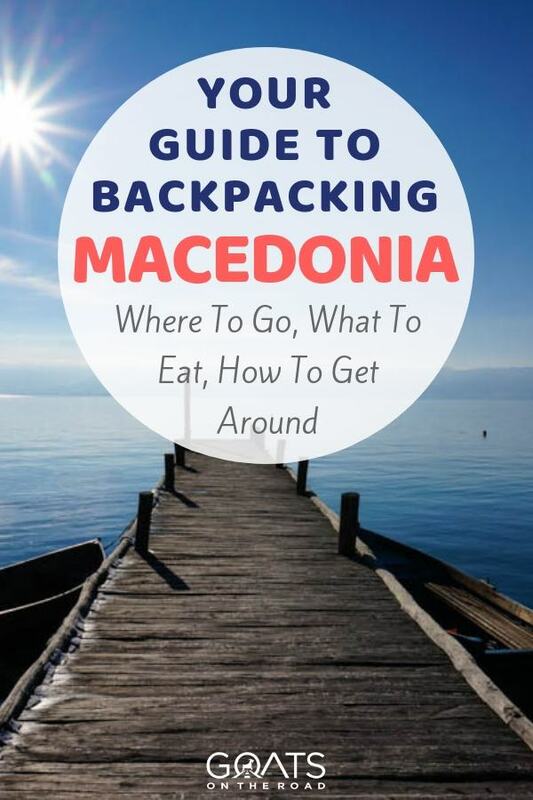 Like anywhere, there are a few cons to travelling Macedonia. It’s a fantastic tourism destination, but it’s not perfect. Luckily, many restaurants and cafes won’t allow smoking inside, but that doesn’t mean you can avoid inhaling cigarettes completely. The outside patios are a smoking zone and everyone seems to light up constantly. 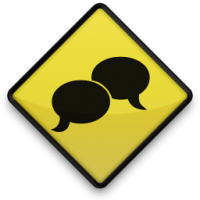 Sometimes the separation between smoking and non-smoking is an open door, so really, it can be hard to avoid. Smoking can happen on the buses also. Don’t get us wrong, we loved the food in Macedonia, when it was done right. Sometimes the food (and the service) can be underwhelming. 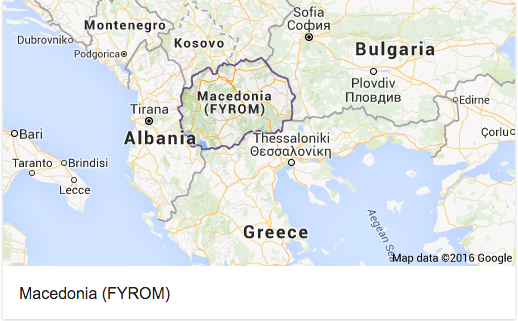 It’s not really a con of travelling while you’re in the country, but after you leave Macedonia (FYROM), you may just offend someone by telling them where you just travelled to. Some people insist on calling it The Former Yugoslav Republic of Macedonia, while others simply claim Macedonia’s best sites and historical figures for their own country. Surely we’ll have offended someone by writing this article the way that we did, but that’s a risk you have to take when talking about the Republic of Macedonia. In our experience, it’s best to just avoid the conversation and try to learn as much about the history, from as many different people as possible. Then you can paint your own, confusing picture of what Macedonia is and who it belongs to. We visited Macedonia during the off-season, so we really didn’t bump into too many travellers, but in general there are a lot of Europeans and North Americans between the ages of 25 – 65 visiting the country. There are good expat communities in Ohrid and Skopje as well. We found that the people in Macedonia were generally very kind and still seemed to welcome tourists. We never felt as though we were walking dollar signs, or that everyone wanted something from us. Each person we talked to seemed genuinely interested in our travels and we found the Macedonian people to be very easy to befriend. 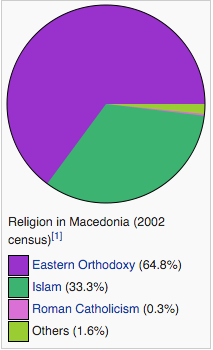 The most common religion in the country is Orthodox Christianity which is practiced by most ethnic Macedonians. Next is Islam with almost a third of the country claiming that they are Muslims, most of whom make up the country’s Albanian minority. There are also many Catholics, Protestants and some Judaism as well. Macedonian is the first language in Macedonia and it is a South Slavic language that is spoken by two million people, mostly in the Republic of Macedonia itself, but also in parts of Albania, Romania and Serbia. Macedonian dialects are similar to Bulgarian ones, although the language (among other things) is a controversial topic in Greece and Bulgaria because of its similarities to Bulgarian. Public transport can get you to all of the country’s major tourist destinations (except for Mavrovo). Buses usually run multiple times per day. Skopje – Ohrid: Bus SAS mk (80 kn – 110 kn) 3hrs or Bus Autoboka (190 kn – 260 kn) 3hrs 37min. Ohrid to Bitola: Bus Nis Ekspres (150 kn – 180 kn) 2hrs 31min or Bus Galeb Ohrid Inc. (60 kn – 85 kn) 3hrs. Bitola to Skopje: (310kn – 390kn) 2 hours 45 minutes. By far the best way to travel around Macedonia is by car. You can get rental cars through EconomyBookings.com for as little as $15 / day. Download the Navmii app on your smart device and get free navigation without using data. There are a few ways to enter Macedonia, either via a boat on Lake Ohrid from Albania, by bus from any neighbouring country or by air. There are two international airports in the Republic of Macedonia, one is Alexander The Great Airport (SKP) in Skopje, and the other is St.Paul the Apostle Airport (OHD) in Ohrid. Skopje is by far the best connected airport with over 150 flights per week landing in Alexander the Great from different European cities. For low-cost airlines, you’ll likely fly into Skopje with Wizz Air from London, Pegasus from Turkey, Jetairfly or Lufthansa. Most nationalities can enter Macedonia visa-free for 90-days and will be easily stamped at any international border crossing. The below map is very handy. 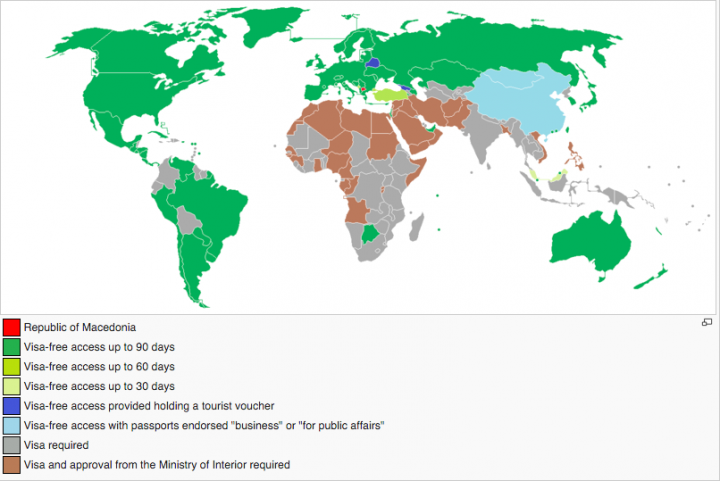 For more visa info, click here. There is a very low risk of contracting any serious disease in Macedonia. Doctors will recommend that you have your routine vaccinations, but in general the sanitation and health care in Macedonia is very good. 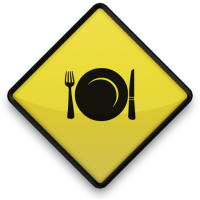 The water is safe to drink and the food preparation methods are very good, with high standards and clean kitchens. The internet in Macedonia is superb. In fact, the Balkan countries have some of the best internet in all of Europe. According to BandwidthPlace.com speed test results show an average of 3.68 Mbps download and 3.11 Mbps upload speeds across all mobile, tablet, and desktop devices tested. That’s blazing fast. You can pick up a SIM card and put it in your unlocked mobile phone or smart device for very cheap. Typically you get the SIM for free, and you load it up with a cellular and data package for very little. Dust (2001): After falling in love with the same woman, two brothers fight for opposing sides of a battle between Turks and Macedonians. Macedonia: A River Divides: This Al Jazeera documentary is about Skopje’s river border between two worlds – one inhabited mainly by Macedonia’s Slavic-speaking majority, and the other mainly by the ethnic Albanian minority. 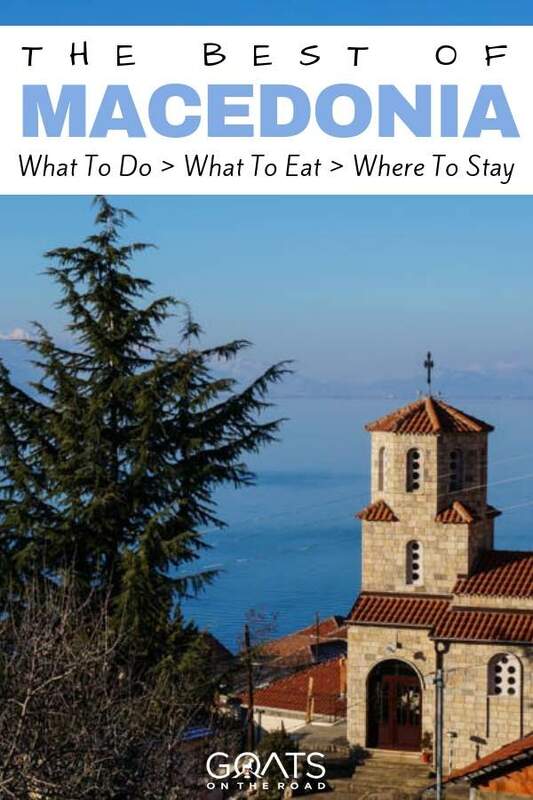 The Macedonia Brandt Travel Guide: Still the only guidebook about Macedonia itself, the Brandt Macedonia book gives a great description of the country’s highlights and unique history (something the Lonely Planet Eastern Europe book lacks). The Fall of Yugoslavia: The Third Balkan War, Third Revised : In this book, Misha Glenny offers a sobering eyewitness chronicle of the countdown to war, exploring the human realities behind the headlines, and puts one of the most ferocious civil wars of our time into historical context. You can really visit Macedonia at any time. We visited in the dead of winter and aside from a couple of freezing cold rainy days, the country was absolutely stunning at that time of year. Some places shut down in the off-season, but in general you can always find a place to stay and a good restaurant to eat in during the winter months. In the summer time, Ohrid comes to life with thousands of visitors from the Balkans and beyond coming to play in the crystal clear waters. Typically the best weather in Macedonia is in the spring or fall. In the summer months of July and August, Skopjians tend to empty out of their capital and head for cooler climates like Mavrovo and Ohrid. Temperatures in these months often climb above 40°C. Macedonia is a hidden European gem and we can’t believe that more travellers don’t talk about this place. Lake Ohrid was so beautiful that we are strongly considering moving there for a few months to really explore and get to know it. Skopje is strange but exciting and Bitola is a historians dream. GOAT NOTE: Rating a country is completely subject to one’s own opinion, so any rating system should be taken with a grain of salt. 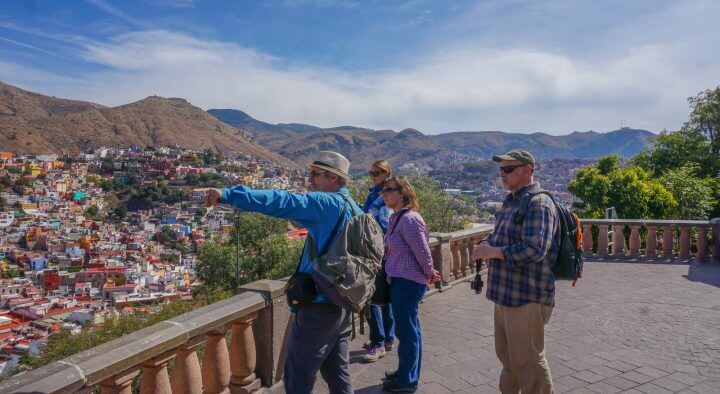 Travel is personal and your experience will differ from ours. The star rating above is based solely on our personal experience and in no way attempts to evaluate Macedonia as a whole. This is really useful! 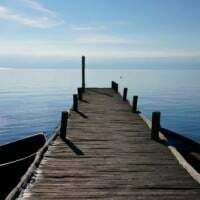 I was only once in Macedonia (Ohrid and Skopje) and really enjoyed it! I was supposed to go there in February again but I didn’t, now the plan is for May so most of your info will come very handy! Thanks! PS. I miss burek so much! That’s awesome!! Have so much fun 🙂 We’d love to return as well. That’s great, thank you! I am planning a trip through Europe and Macedonia was not on my itinerary. Now it is, as they do have so many cool things and after seeing your pictures I would love to visit Skopje. Wow this blog post is pretty much everything I was searching for all in one! Love the pros and cons and the rental car recs. Do you guys drive stick? My husband and I are heading there tomorrow from Greece, looks incredible even in winter. Thank you for all thr helpful info! Thanks Ashley! Nick can drive a stick, I can’t. I hope you enjoy Macedonia! 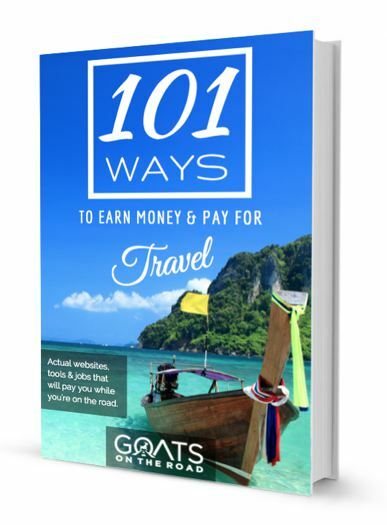 This is absolutely by far the best travel blog I have come across. 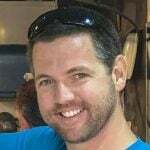 I have traveled to 41countries so far. I am always searching for great bloggers. Well done!! I am sold on Macadonia! Thanks so much for reading and commenting Donna! We had such a great time in Macedonia Enjoy. You should add Matika Canyon to your list. Kayak, boat and cave tours. Love Rome! And in particular, the food 😉 Glad you enjoyed. I’d re-name this as “All-In-One, Macedonia’. It contained everything I was after. Thank you! this is an amazing web-site, we are going to Macedonia for 10 days in September 2019. 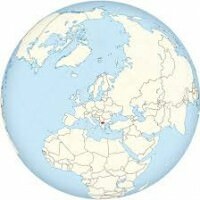 Think Skopje, Bitola and Ochrid, think this website will help with were to stay and what to do.